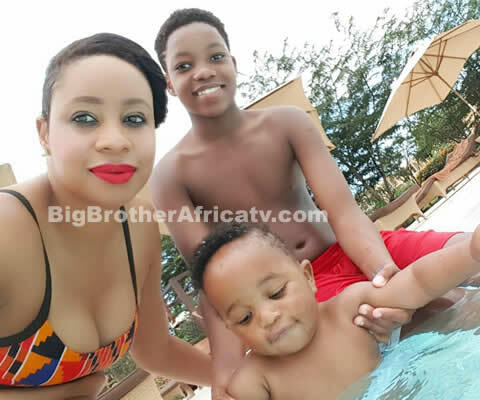 Former Big Brother Africa contestant, Pokello Nare shared photos from her outing to the beach with sons, Nathan and Tristan, via her Instagram over the weekend. The mother of two slayed in a black strappy two piece swimsuit, as she was pictured with the second son, who is a couple of months old, on her hip. Pokello got married to fellow Big Brother Africa housemate, Elikem Kumordzie in June 2015, with reports of her pregnancy surfacing two months after. For all the latest updates on Big Brother Africa 2017 / Big Brother Africa Season 10 Auditions, you can subscribe to receive email updates from www.BigBrotherAfricatv.com.